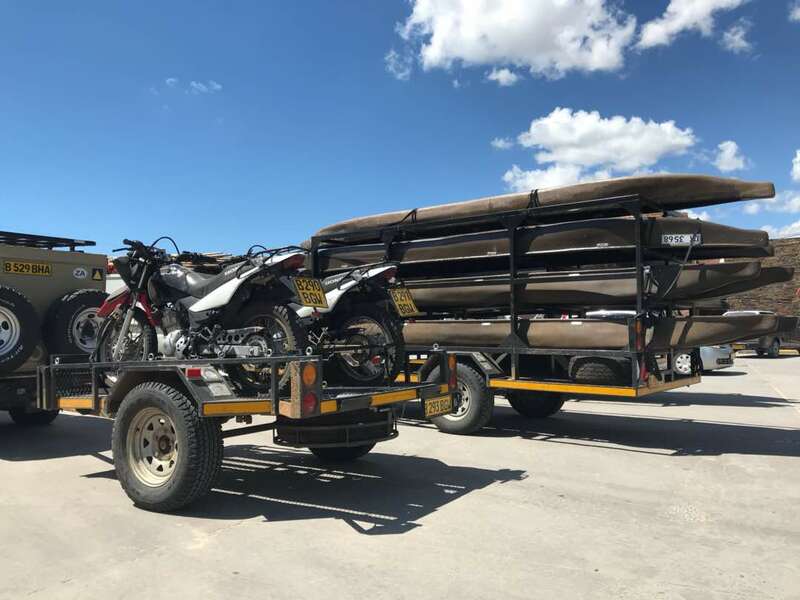 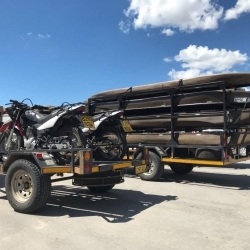 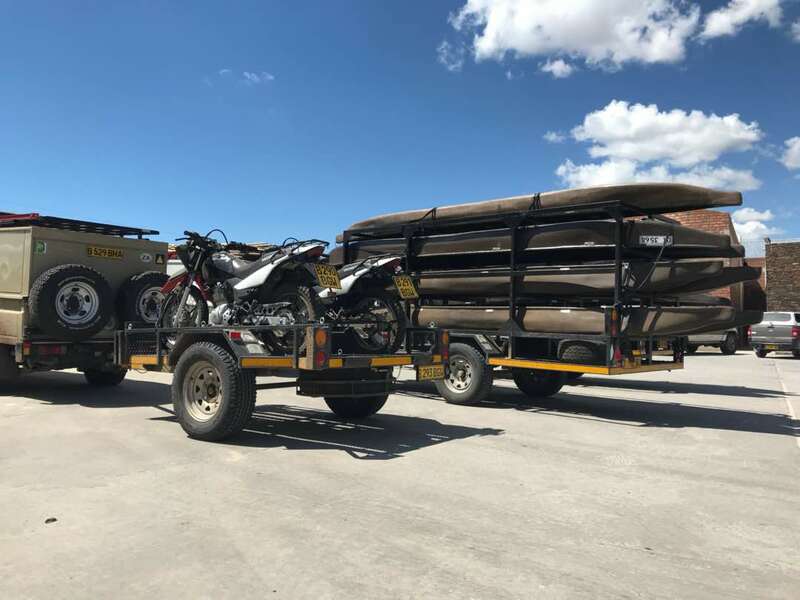 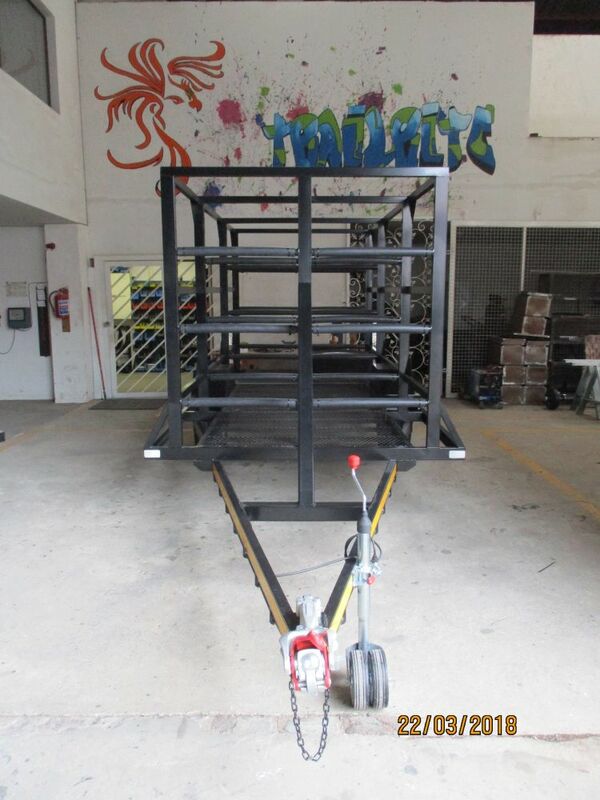 This is a custom built double MX bike trailer and three mountain bicycle trailer with an aluminum nose cone. 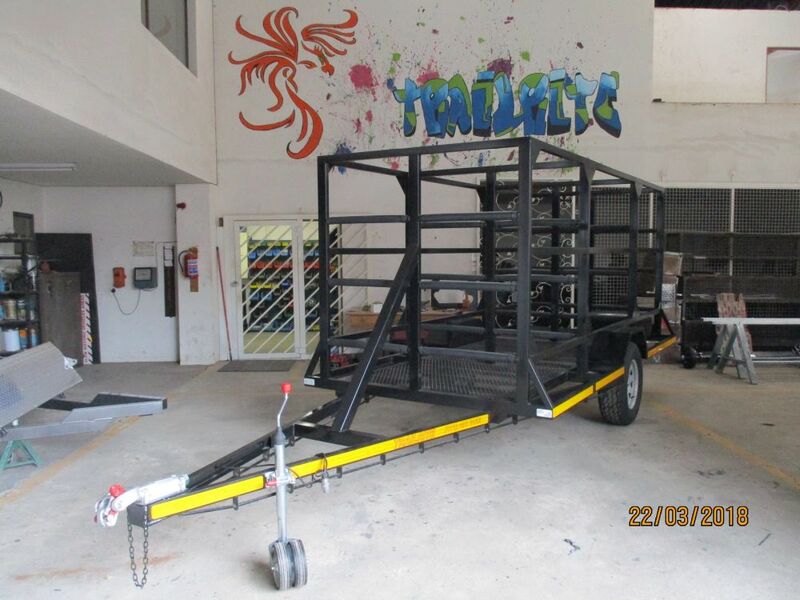 This is an events trailer that we designed and manufactured. 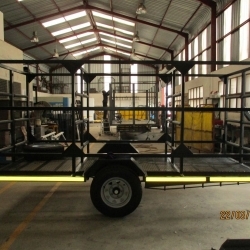 The left side opens into a stage with two smaller openings in the front and a roll up door at the rear of the trailer. 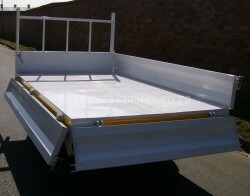 These pix are of a custom flat deck trailer with removable tarpaulin sub frame. 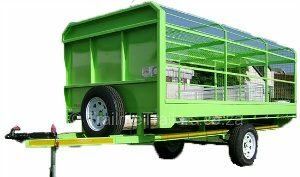 Single braked axle. 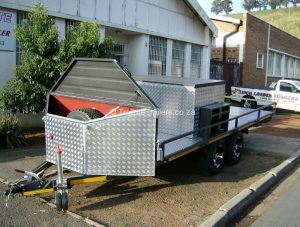 These are of a custom made 3 quad trailer, double braked axles, 15” Mag rims, aluminum nose cone with spare wheel inside. 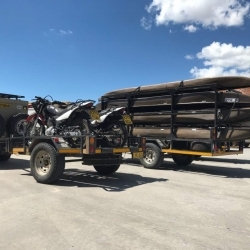 2 dual jerry can holders, and a aluminum storage box on the deck of the trailer. 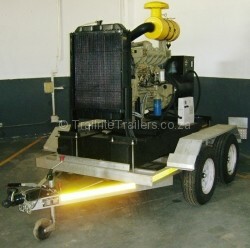 This trailer has a generator mounted on the front as well as an aluminum tool box. 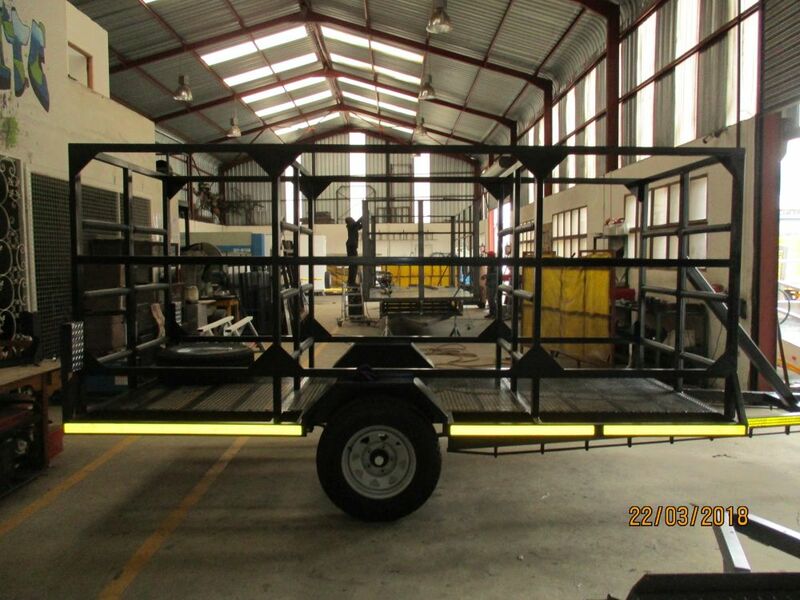 It is used to transport and install various machines in remote locations. 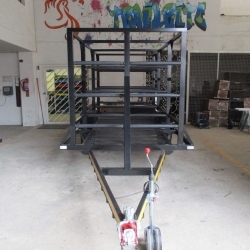 For mobile power, this is the one! 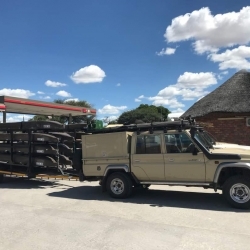 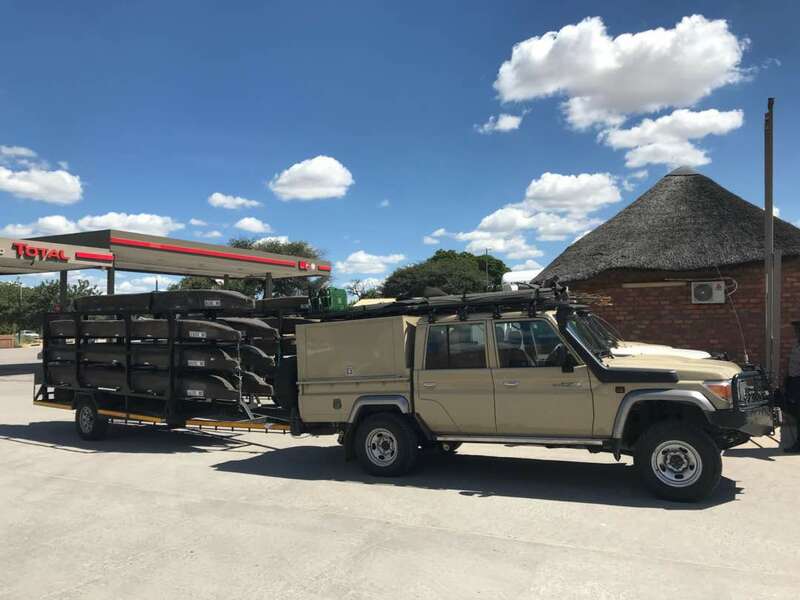 This is a large luggage trailer. 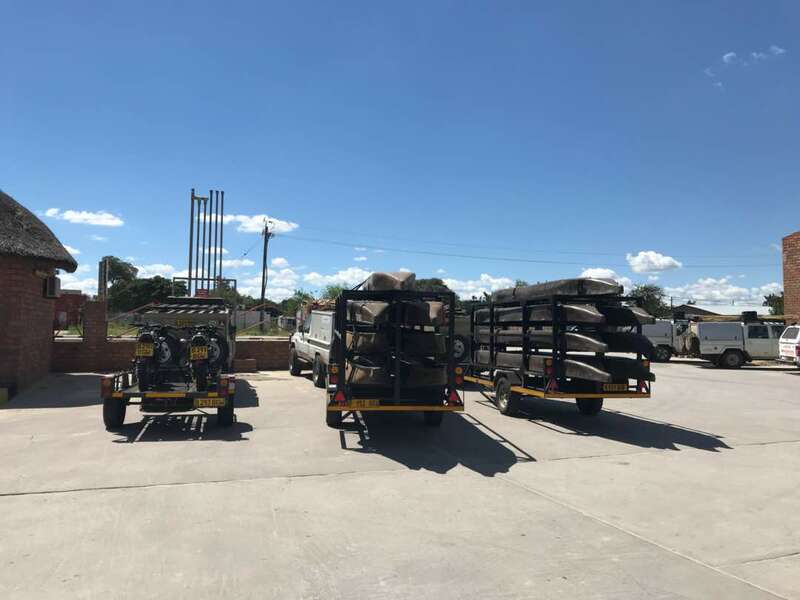 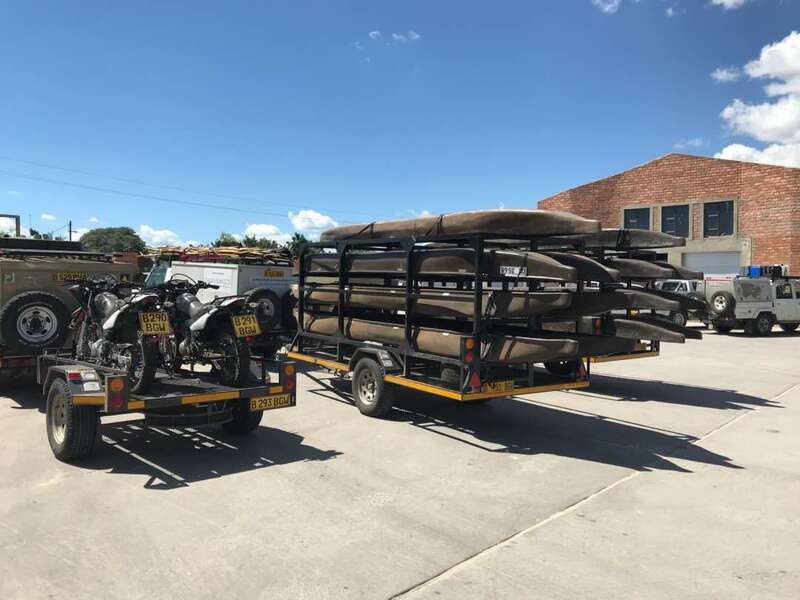 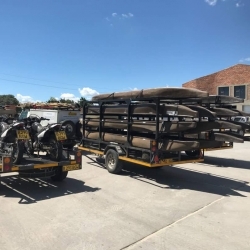 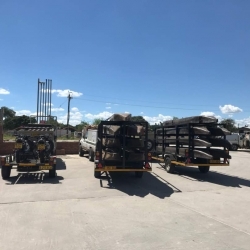 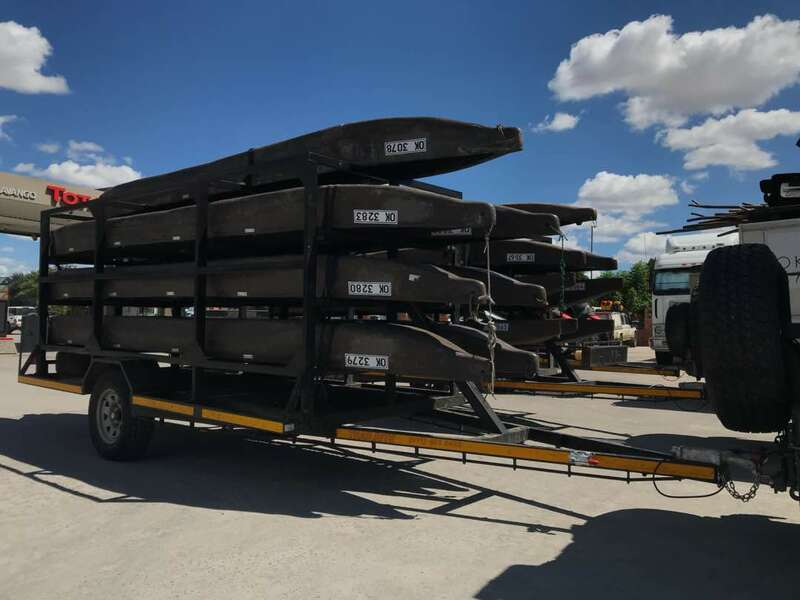 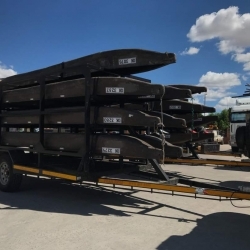 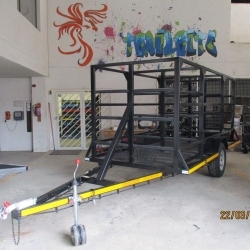 Dropside type trailer, single or double axle, with brakes.